Hey, fellow movie fans! Let's talk movies (and some TV, too)! To commemorate the 50th anniversary of the assassination of US President John F. Kennedy, the National Geographic Channel and Academy Award winning director Ridley Scott present Killing Kennedy, a short film recreating that fateful day in Dallas, Texas half a century ago and based on the bestselling book “Killing Kennedy: the End of Camelot” by Bill O’Reilly and Martin Dugard. 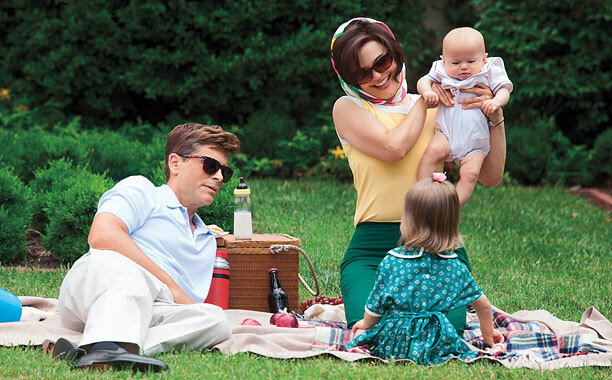 Starring Rob Lowe as JFK, Ginnifer Goodwin as First Lady Jacqueline Kennedy, Will Rothhaar as assassin Lee Harvey Oswald, and Michelle Trachtenberg as Oswald’s wife Marina Oswald, the “docudrama” shows both the lives of JFK and Oswald leading to November 22, 1963. This includes on one hand the JFK Presidency and the relationship between the President and the First Lady; and on the other, 24-year old Oswald’s struggles as a communism supporter fighting capitalism in America. As much about JFK’s life has already been widely reported, the real revelation is the re-telling of Oswald’s story. 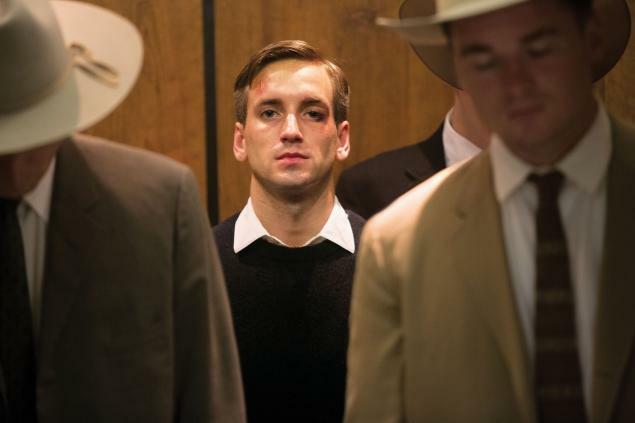 Killing Kennedy sought to establish how Oswald became the assassin he would be infamously known for, portraying him as a lonely, troubled, misunderstood, young man with a tendency for violence. The first part of the film was generally unexciting, but the part leading to the assassination and the events right after it has enough drama, suspense, and yes, heartbreak. It doesn’t matter how much you know of what’s going to happen, that first gunshot—and the image of Jackie in her pink suit cradling JFK’s bloodied head—will still give you goosebumps. 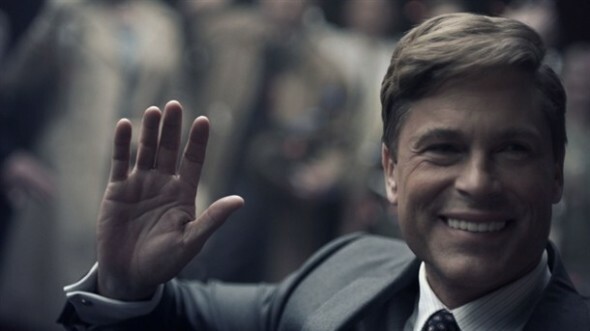 All the main actors gave good performances (though Lowe was disappointingly made to look ‘less handsome’). Rothhaar was particularly compelling as the incorrigible Oswald while Goodwin’s portrayal of Jackie as the grieving widow was very poignant. Trachtenberg, whom most of us know from her famous TV shows Buffy the Vampire Slayer and Gossip Girl, was almost unrecognizable as the Russian Marina Oswald (She also said most of her lines in Russian all throughout the movie!). For other information, photos (including Jackie’s fashion–in color! 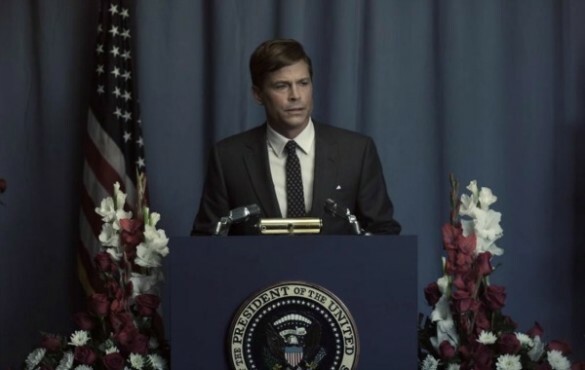 ), videos and trivia on everything Kennedy, you may visit the National Geographic Channel’s website’s special JFK tribute. This entry was posted in Reviews and tagged 1963, Bill O'Riley, Bobby Kennedy, Dallas Texas, First Lady, Ginnifer Goodwin, Jackie, Jackie Kennedy, Jackie Onassis, JFK, JFK anniversary, Kennedy, Kennedy assassination, Killing Kennedy, Killing Kennedy: The End of Camelot, Lee Oswald, Marina Oswald, Martin Dugard, Michelle Trachtenberg, Movie, National Geographic Channel, National Geographic Channel Philippines, November 22, Ridley Scott, Robert Kennedy, TV Movie, Will Rothhaar. Bookmark the permalink. ← ‘Catching Fire’: Ten Thumbs Up! Your kids will love ‘Cars 3.’ But will you?